WWE is a very interesting workplace. It seems as though Corey Graves’ affair with Carmella is now out in the open and everyone has their own opinion on the matter. However, some fans seem to be misinformed about what all WWE Superstars are up to. 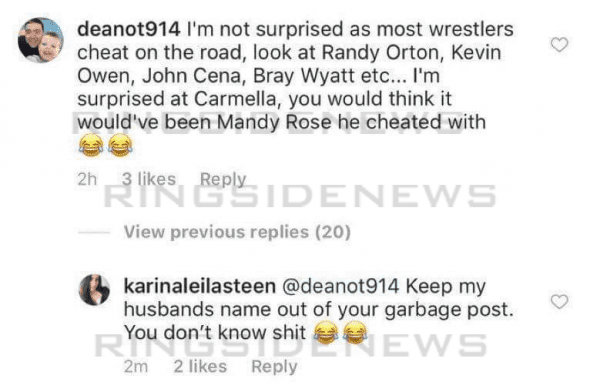 This is why Karina Steen, wife of WWE Superstar Kevin Owens is around to clear things up. 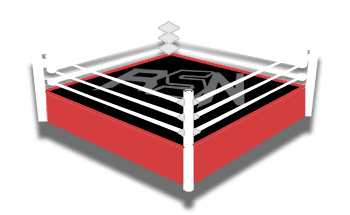 When one fan posted a scathing accusation about WWE Superstars’ infidelity including Owens, his wife had to reply in a big way to shut that foolishness down. We’re not saying that all of the names on this fans’ list are innocent of the accusations. However, you can rest assured that Kevin Owens’ name was included as a serious error.